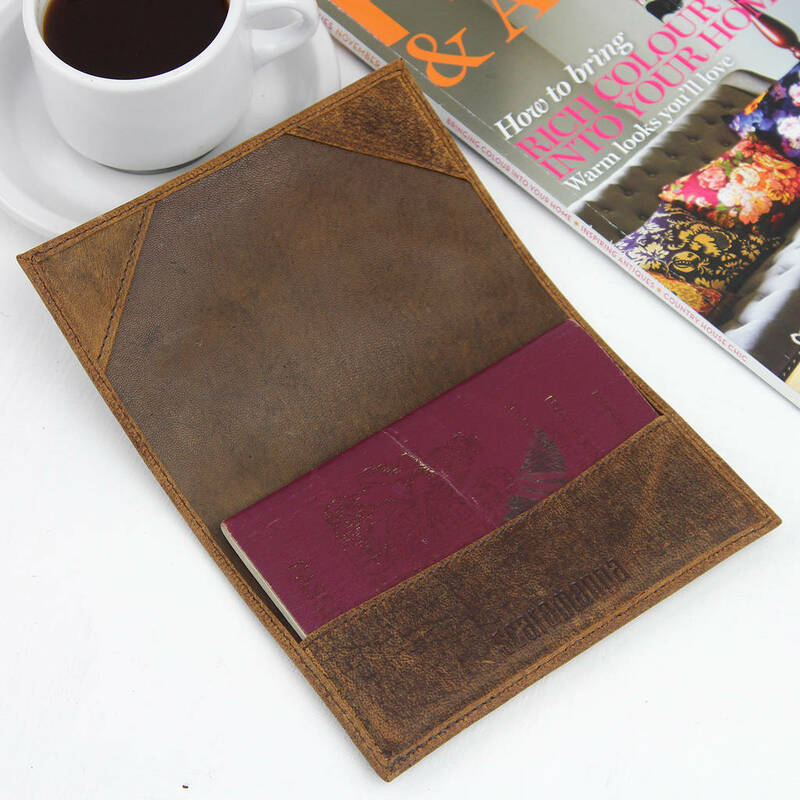 Made of our distinctive and stylish leather this Passport set is beautifully embossed in gold foil. 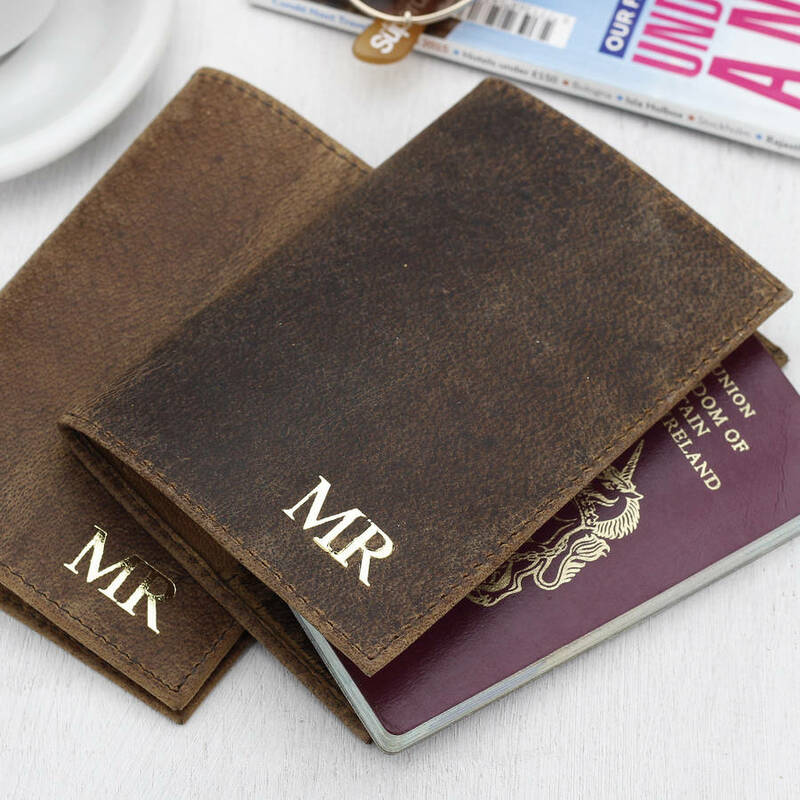 Your passport will glide in and out easily and stay protected and safe in our leather covers and is a great and fun gift for newlyweds heading off on their honeymoon. 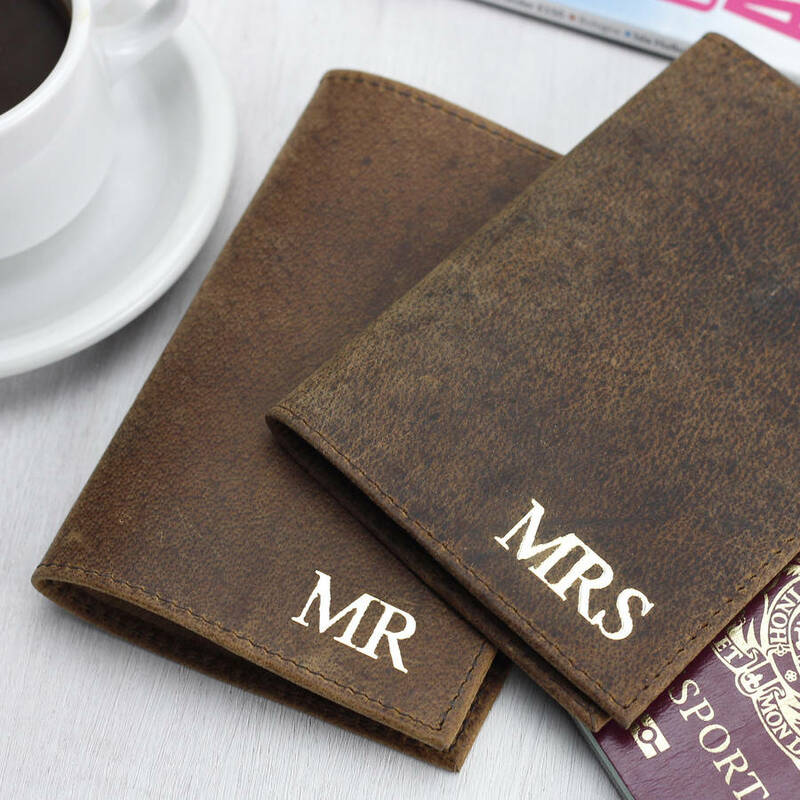 Leather is the traditional gift for a 3rd wedding anniversary present, so why not whisk your loved one away on an adventure using this gorgeous set? 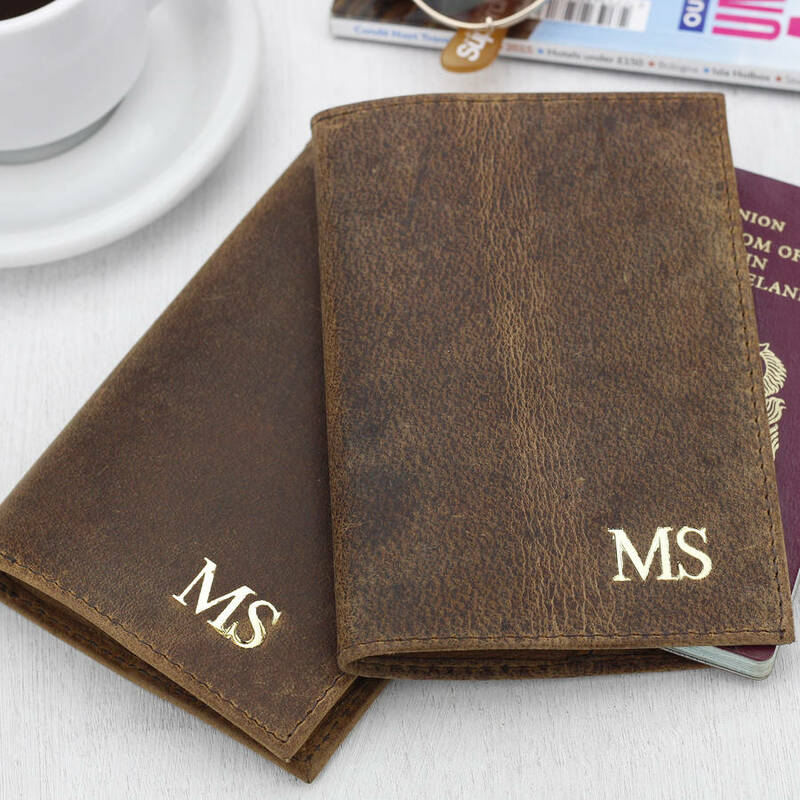 Further personalise your Scaramanga Passport Cover Set with initials or a date. 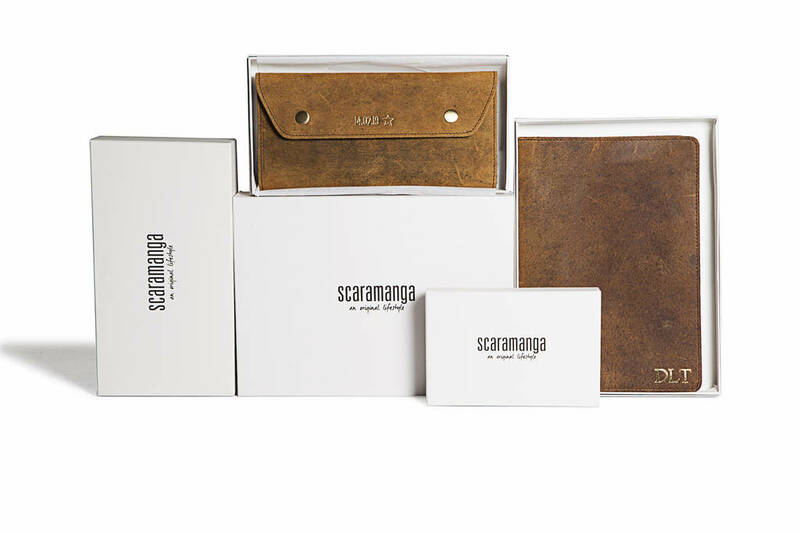 Scaramanga handcrafts each leather item and uses semi-vegetable tanned leather; which may result in variances in texture, colour, shading, natural lines and marks on the leather from the one in the photo. This makes each item truly unique and individual.